Although I love floral scents, I normally don't like them in my shower. They're just so overpowering and way too feminine. Such is not the case with Korres Jasmine Shower Gel, though -- it's quickly become a staple in my morning routine! The scent of jasmine definitely comes through here. It's heady and lush, but doesn't feel cloying. Every time I open the bottle, I feel as though I've been transported to a garden in full bloom! My love for this shower gel is only enhanced by the fact that it lathers well upon my pouf. A dime-sized amount is all that's needed for a shower that's as lovely as any garden stroll. 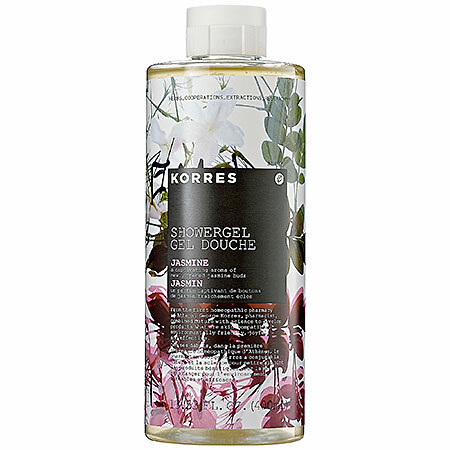 Korres Jasmine Shower Gel retails for $19.50 at sephora.com.